Ceramic tile counter tops are inexpensive, durable and easy to clean making is a really good choice for countertops in the average home. Because ceramic tile is installed a portion at a time, it can be handled by most capable do-it-yourselfers. Ceramic tile counter tops are offered in wide range of colors, textures and price points. 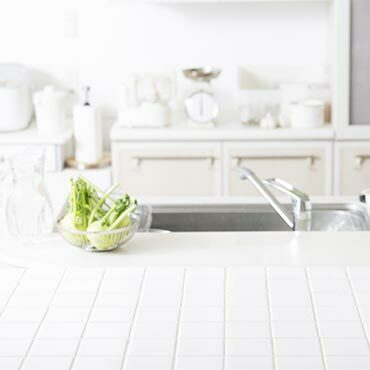 Some of the drawbacks of ceramic tile counter tops are that the tiles can easily crack or chip, the surface is uneven and grout lines can become tainted. Custom designed art tiles are very expensive.